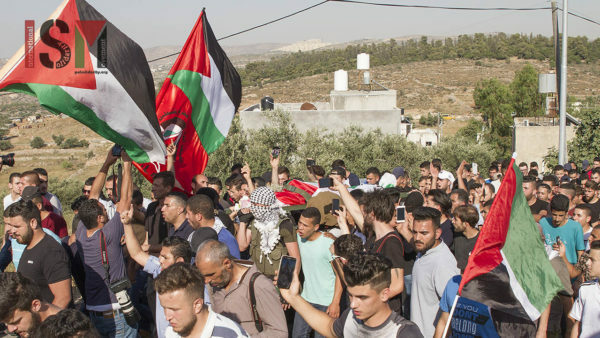 The funeral of 21 year old Izz al-Deen Tamimi was held yesterday afternoon on Wednesday 6th June in Nabi Saleh, a village north of Ramallah. Israeli soldiers shot the young man with three live bullets in the early morning, hitting his neck and chest. 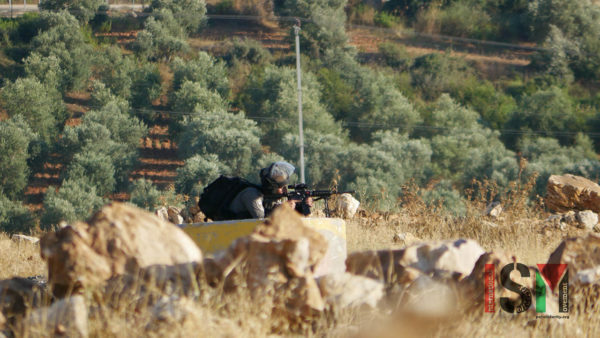 Israeli undercover agents and soldiers had entered the neighbouring village of Beit Rima in the early hours of Wednesday morning and arrested a Palestinian man. They also shot and wounded one other man using rubber coated steel bullets. 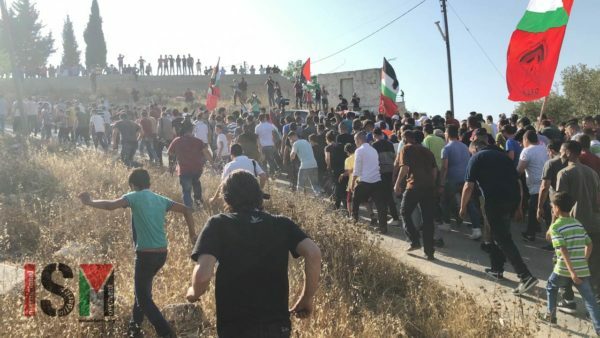 As they were leaving the village of Beit Rima and passing through Nabi Saleh to exit to the south, young men from the village gathered to protest the Israeli army’s aggression. Izz al-Deen Tamimi was shot three times with live ammunition. Watch a video here of the aftermath of Izz’s shooting, as family and neighbours in Nabi Saleh rush to Izz and try to ensure his medical treatment. The IDF released a statement on Twitter that a Palestinian man threw a ‘large rock’ at Israeli soldiers during an arrest, and that ‘in response, the soldier who was hit by the rock fired towards the suspect, who was injured and given medical treatment at the scene. Despite this, the suspect died. No IDF troops were injured.’ However, this conflicts with eyewitness accounts that after shooting Izz the Israeli soldiers took him and laid him down for thirty minutes before they allowed an ambulance to attend. 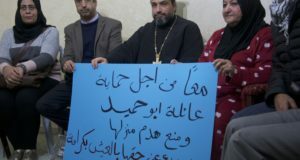 During this time Izz reportedly lost a great deal of blood, and was later pronounced dead at the hospital in Ramallah. A local man told ISM that he went to the soldiers surrounding Izz and asked them ‘why did you have to shoot him in the neck? Why did you have to kill him?’ It should be asked whether shooting a man with live ammunition is a legitimate and proportionate response to a stone being thrown at heavily armed soldiers, none of whom was injured. 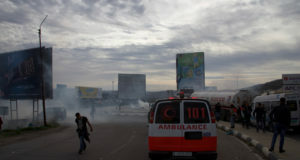 Izz al-Deen Tamimi’s funeral procession left Ramallah hospital and passed through the city centre, with hundreds of people in attendance. After leaving the city centre, cars of family and other funeral attendees were stopped at ’Atara checkpoint north of Ramallah by Israeli military in an apparent effort to halt mourners from attending the funeral in Nabi Saleh. The Institute for Middle East Understanding (IMEU) released this video showing Israeli soldiers harassing and intimidating mourners trying to reach Nabi Saleh. After this provocation, mourners were allowed to pass through. 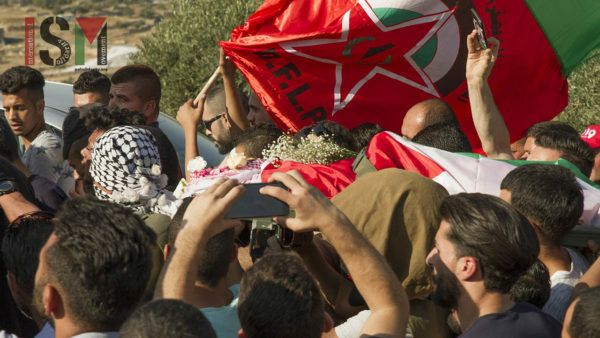 Hundreds of attendees joined the funeral in Nabi Saleh as men walked with Izz’s body up to the cemetery at the top of the village. 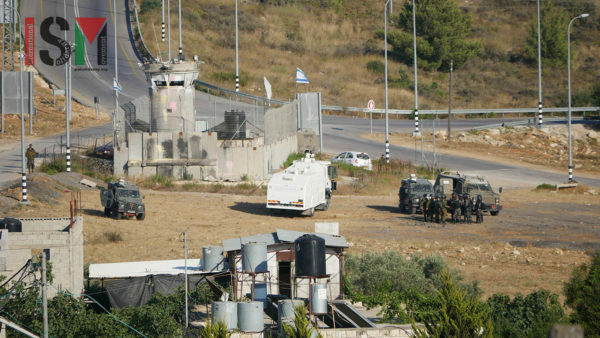 Meanwhile, many Israeli military vehicles and heavily armed Israeli soldiers gathered at the checkpoint to the south of the village. ISM spoke with Bassem Tamimi, from the Popular Committee of Nabi Saleh and prominent anti-occupation activist. He said, ‘what will the world do now? Will the occupation end? … The international community may produce another report, another human rights report, but today it will have Izz’s name on it, but then what will happen?’ He seemed frustrated that the brutal occupation and the disproportionate violence that goes with it continues despite periodic media attention when there is a ‘flare-up’ such as has marked the recent Great Return March and Nabka 70 demonstrations. 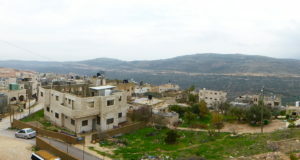 Nabi Saleh has been an ongoing site of struggle against the occupation and the policy of illegal settlement expansion in the West Bank. 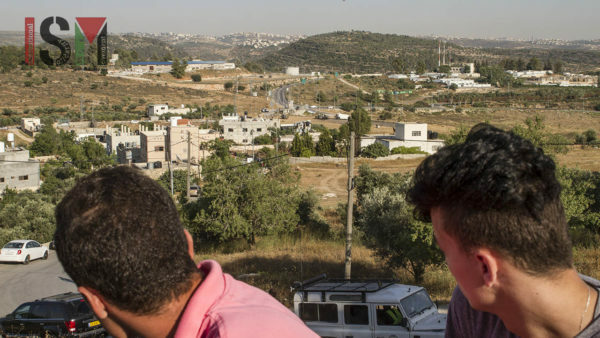 To find out more about the resistance to the occupation in Nabi Saleh read this interview with Manal Tamimi published today which reveals the extent of Israeli army violence, repression and harassment the people of the village face.